If you’re a parent, you’re likely well aware of the importance of detecting potential dental issues early in life. At Smile Creation, we recommend your child visit us on their first birthday. 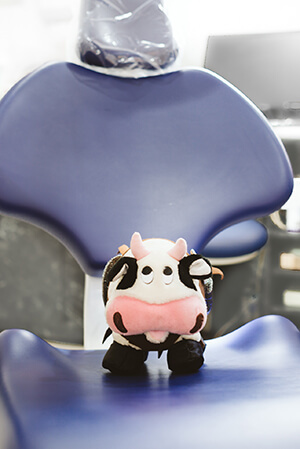 They can even accompany you to your regular appointments with us, ensuring that they’re comfortable and relaxed in our environment. Whether your child needs a checkup or you have other concerns, we’ll be happy to gently evaluate their needs. This program entitles eligible children to $1000 in dental treatment every two years. Please contact the Medicare office to check your child’s eligibility. You can also contact our office to find out more or to book your time.